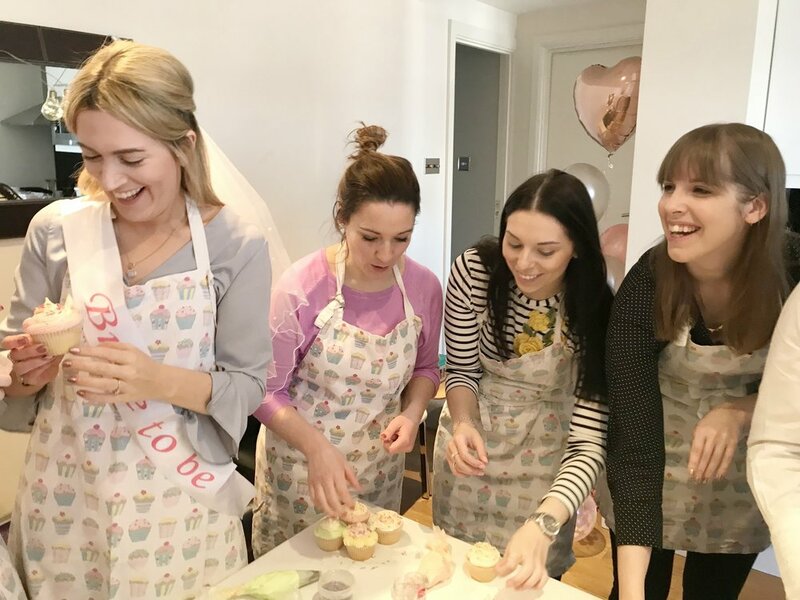 What a great time Kate and her Hens had at her cake making hen do. Her mum had come all the way over from Oz with one of her oldest friends (Kate is Australian). 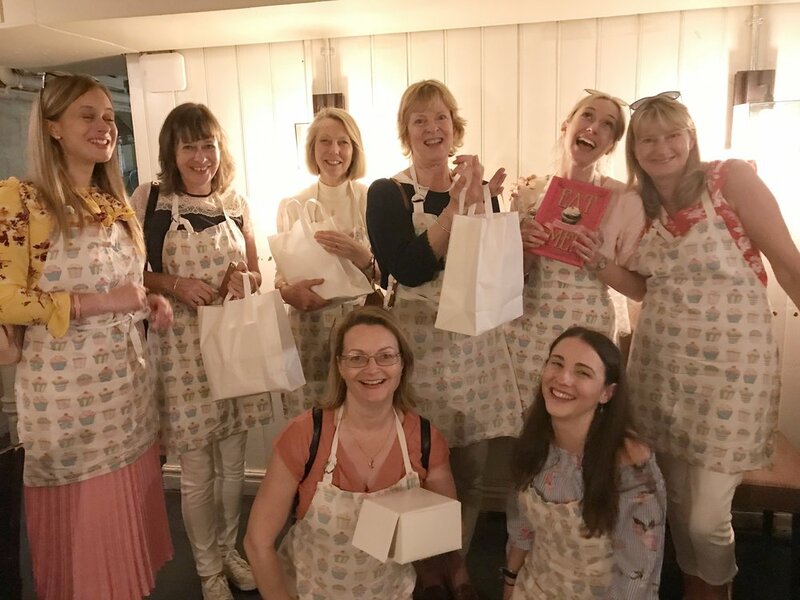 The rest of the Hen Party where made up of stage managers from various west end shows. They did a fantastic job with their cupcake decorating creating some beautiful buttercream swirls. As you can see there was a lot of laughter between them all. As they were a small group it was a lovely intimate event and I was able to give them lots of individual attention. 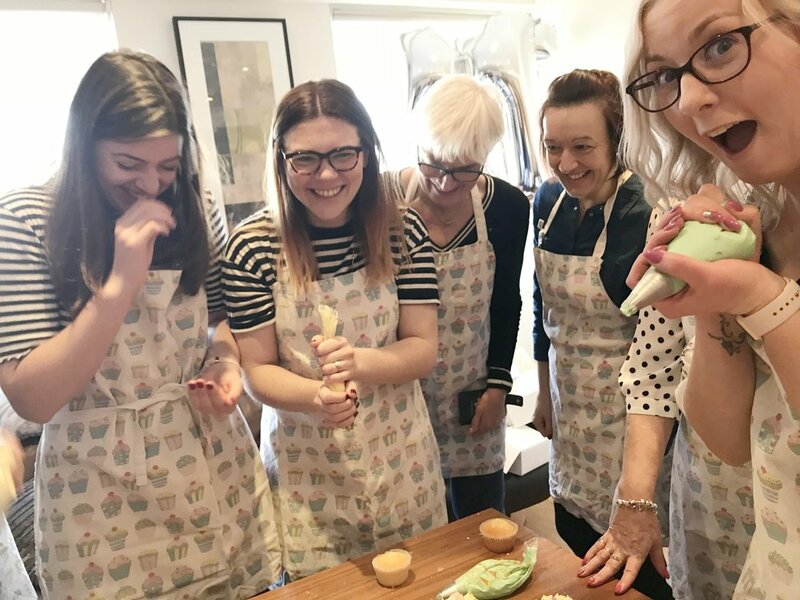 At the end of the cake class they couldn't help but admire their cake making achievements and were thrilled to be able to take back their beautiful cupcake creations to share with their friends and family. 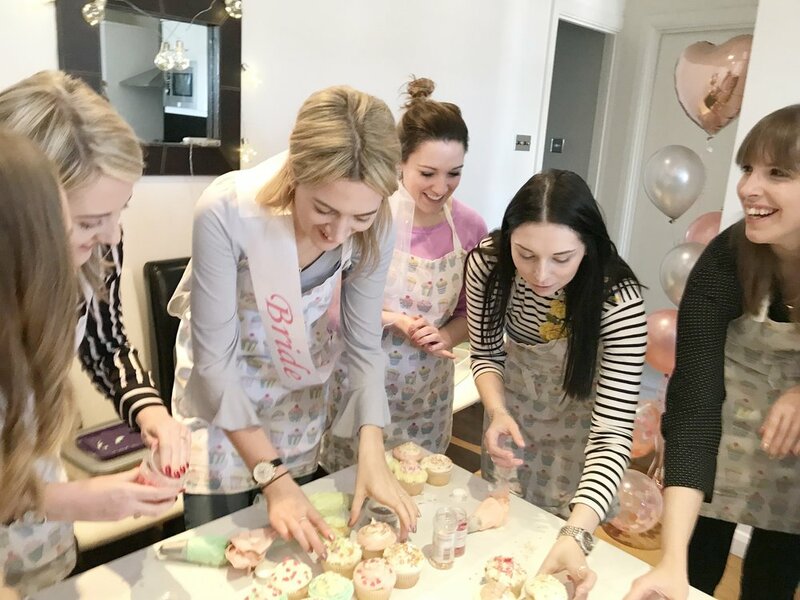 It was a total pleasure hosting this intimate cake baking Hen Party for Ezster and her closest friends. 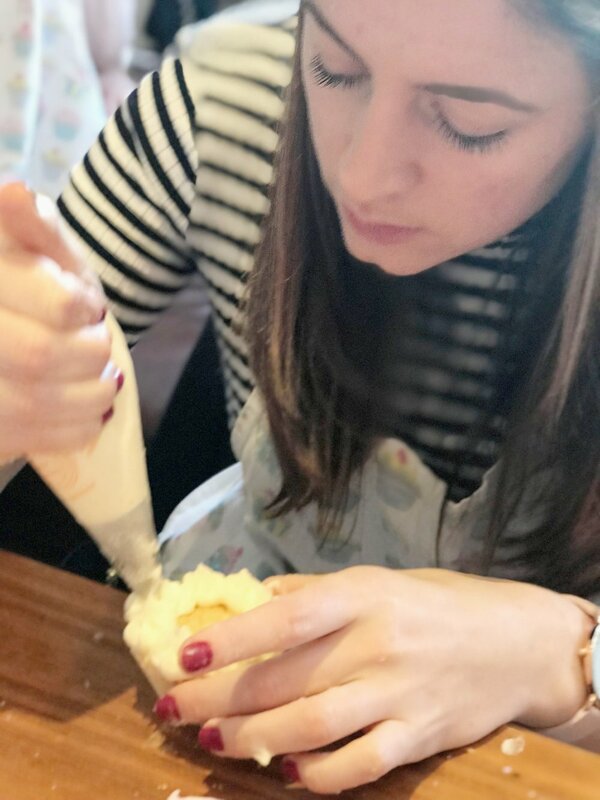 She came all the way from Germany to have her cake making hen day with us. 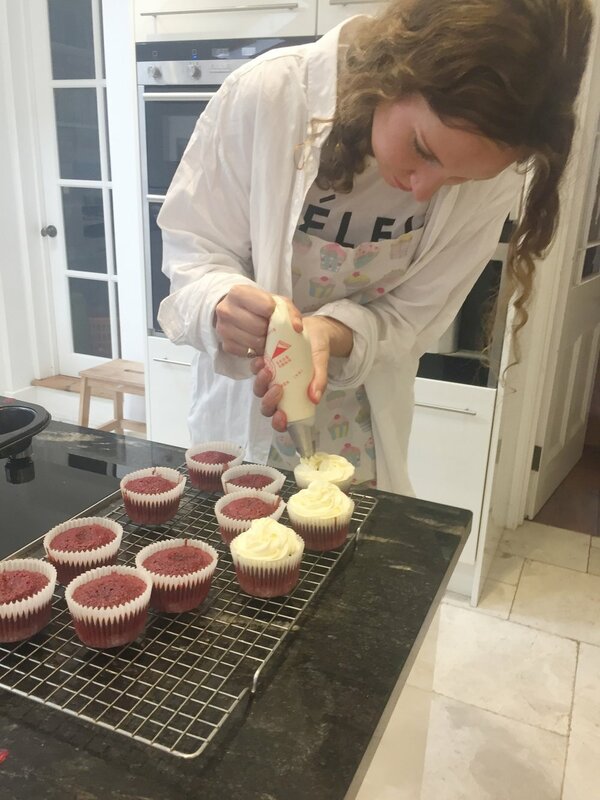 The girls really enjoyed the relaxed, informal environment for their private baking lesson and were thrilled with their fantastic red velvet cupcake results. 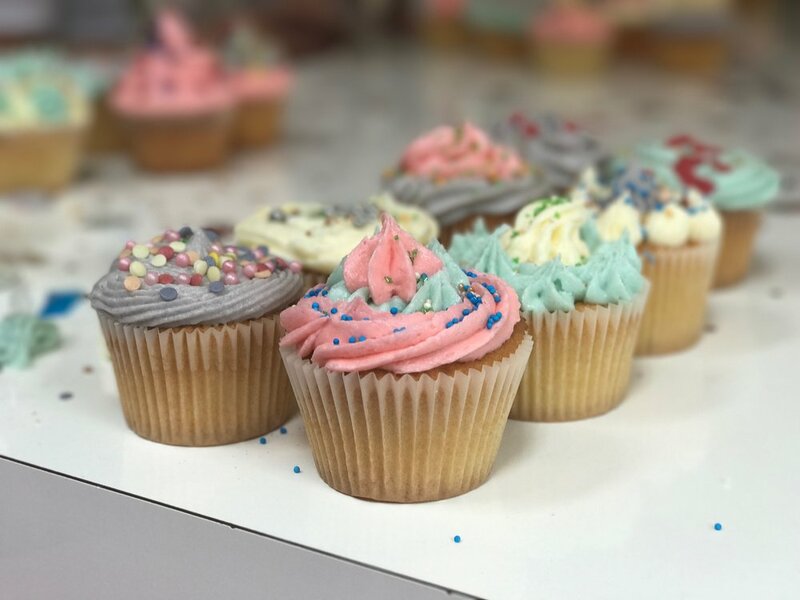 To be honest it was amazing that they had enough mixture left to make the cupcakes they were so enjoying tasting the mixture as they went along! The red velvet cupcakes looked stunning with their simple white cream cheese frosting. They kept sprinkles to the minimum wanting to create an elegant end result. 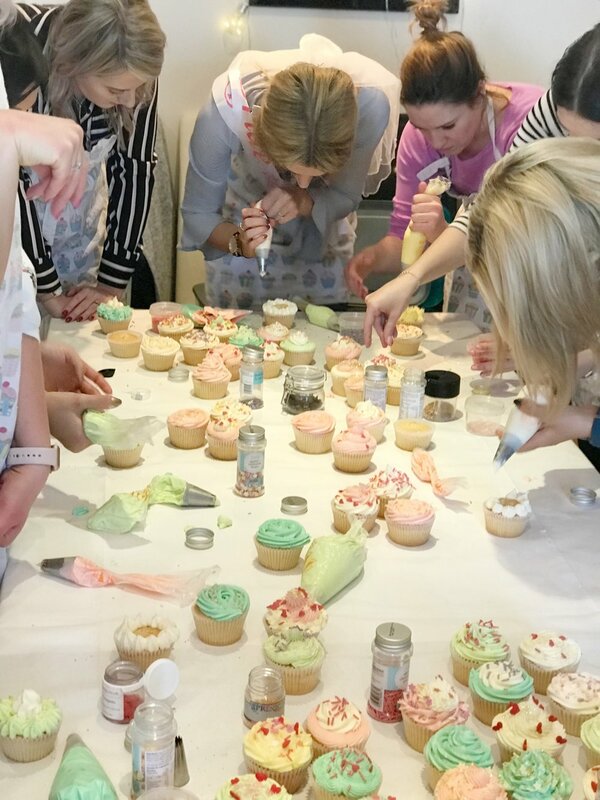 As most of our hen parties are cupcake decorating events it was a real treat getting to work with a hen do when they were doing their cake making from scratch. They were such a lovely bunch and obviously very close. I felt very privelidged to be a part of such a close knit get together. 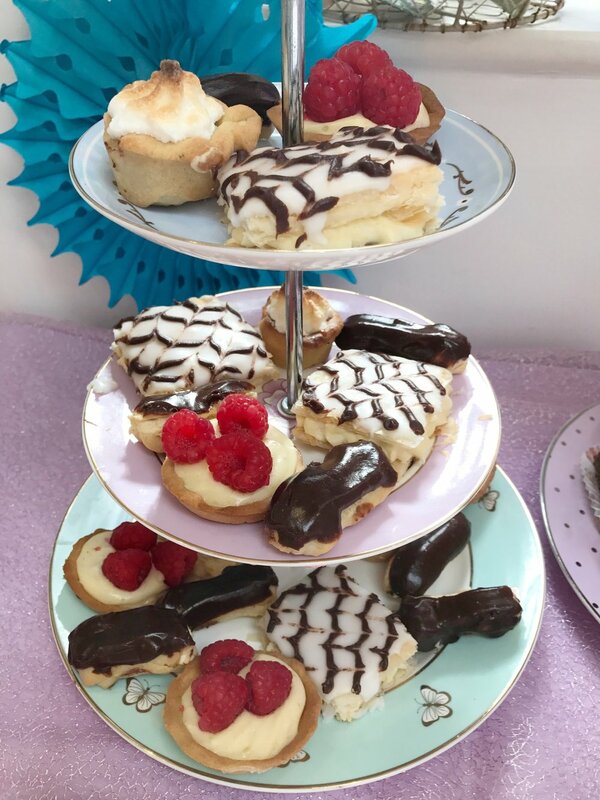 I was asked by Natalie, who was organising Weeta's cake making hen party, if I would also be able to provide them with afternoon tea. Although I new that it would be a lot of extra work I though 'Why not?'. 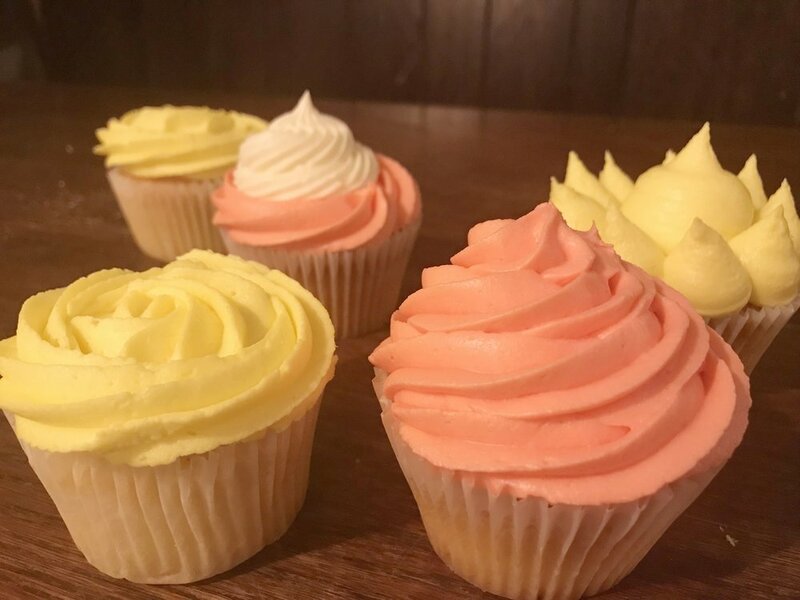 It gave me the opportunity to create some delicious pastries which was a refreshing change from my usual repertoire of cakes, cookies and biscuits. As well as a selection of savoury sandwiches I made them; plain, fruit and gluten free scones. 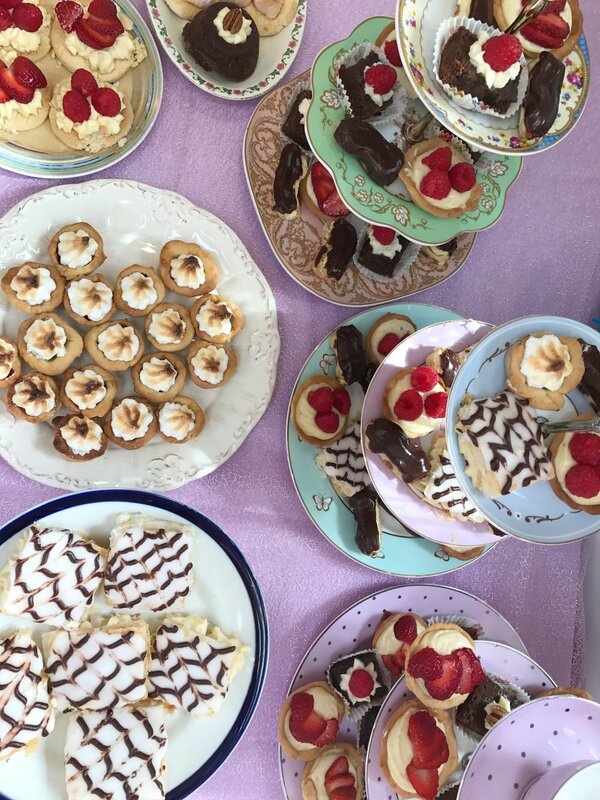 All served with clotted cream and strawberry jam. 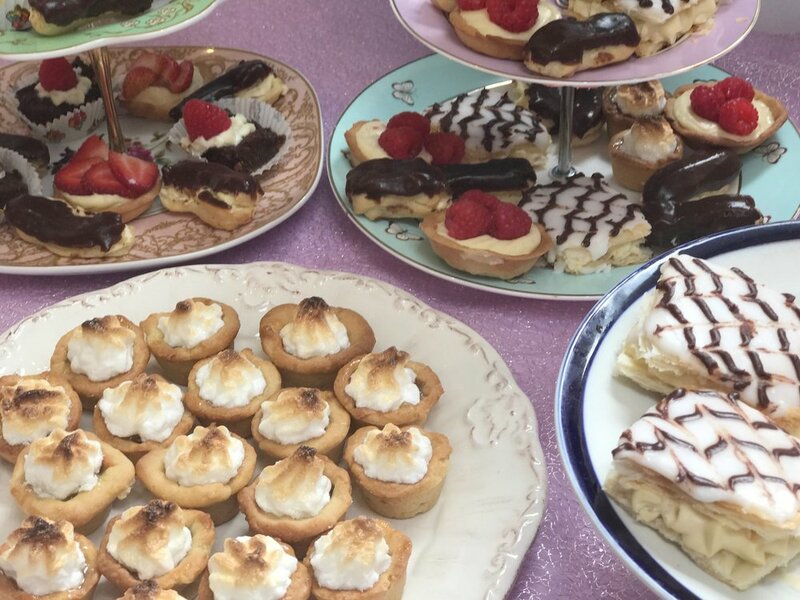 They then tucked into; mini Mille Feuille, mini strawberry & vanilla tartlets, mini lemon meringue pies, mini pecan brownies and mini chocolate eclairs. Needless to say this was one group of hens that didn't get started on the cupcakes they had made during their cake making class. As far as hen days go it was a very civilised one with only a couple of bottles of bubbly drunk but much fun and games had by all. 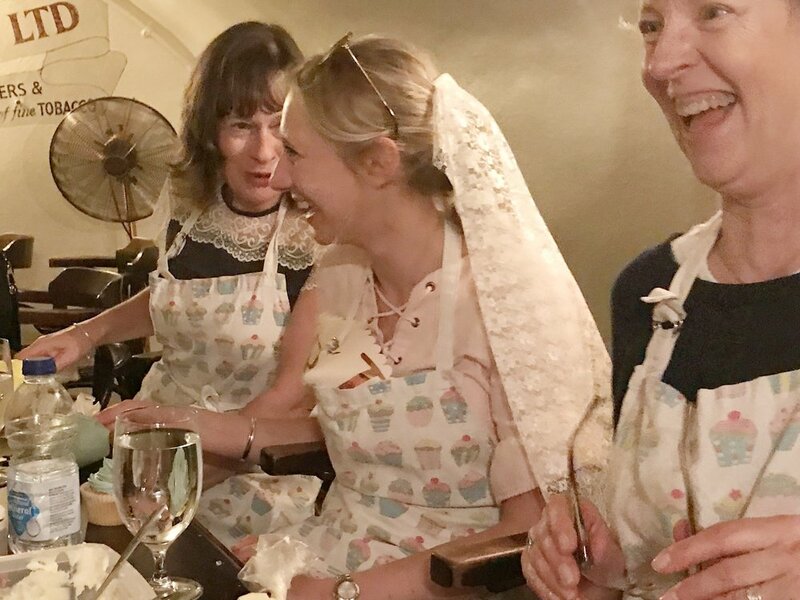 Weeta is lucky to have such a wonderful group of friends who ensured her hen party was a day to be remembered. 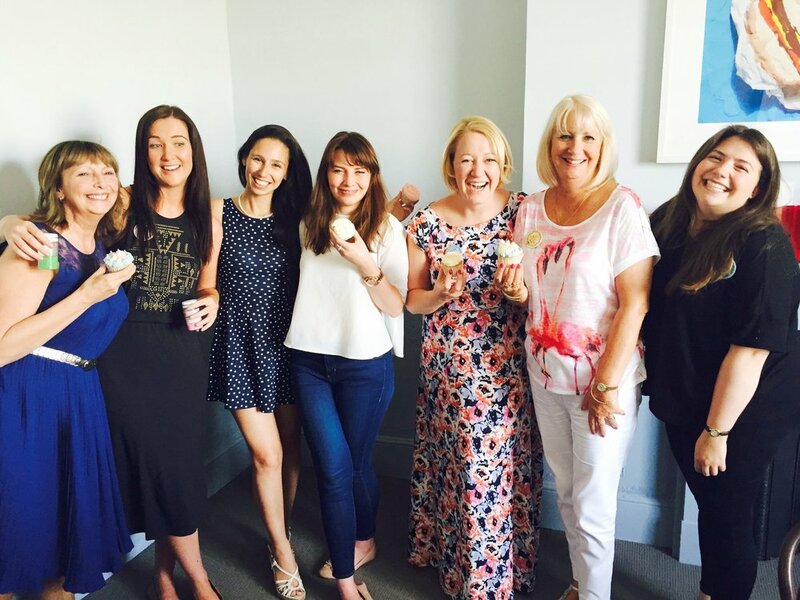 What a wonderful group of ladies came along to Sarita's cupcake decorating hen party. It was a family get together and included both the brides mum and the future mum in law. Who was clearly already a well loved member of the clan. They had a great time making cakes that looked really professional. 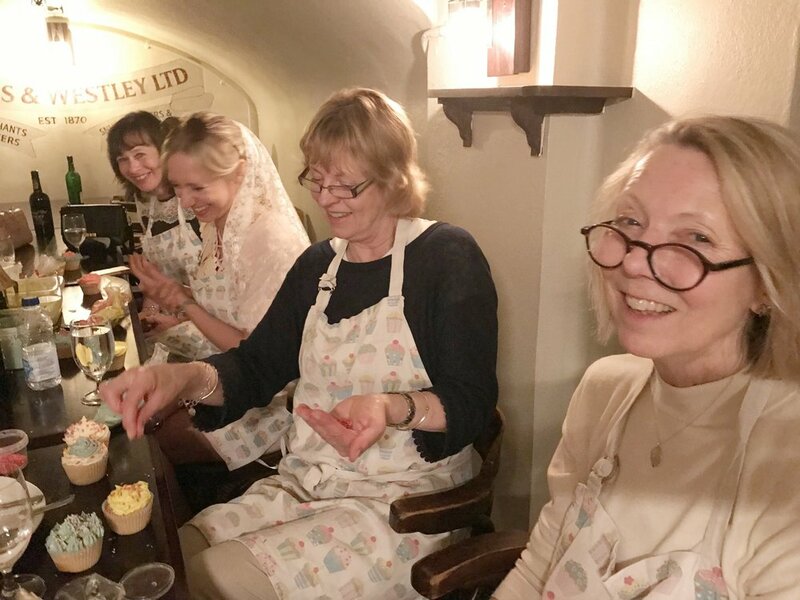 I think that a couple of them were already quite experienced cake decorators, although they tried to keep that a secret! 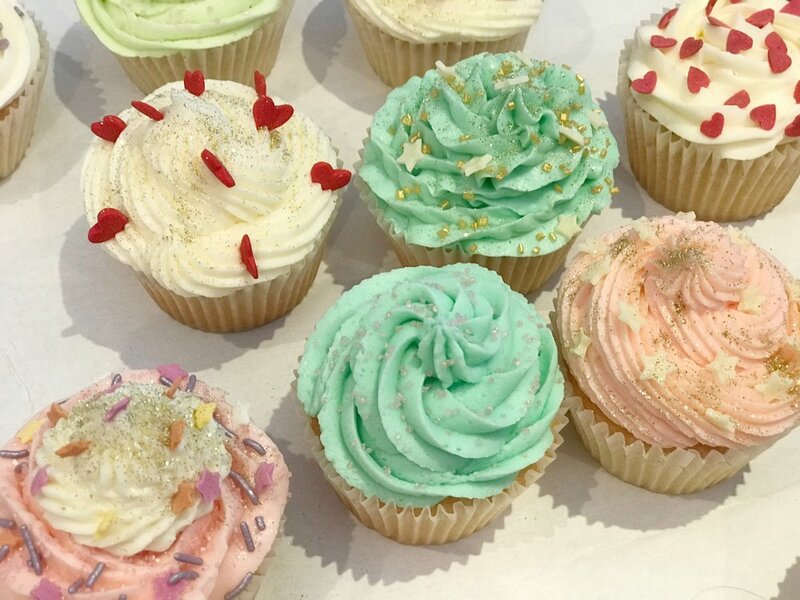 The girls were all limitting themselves to one cupcake each as they didn't want to eat too much pre wedding (especially the bride who didn't want to have her dress refitted!) 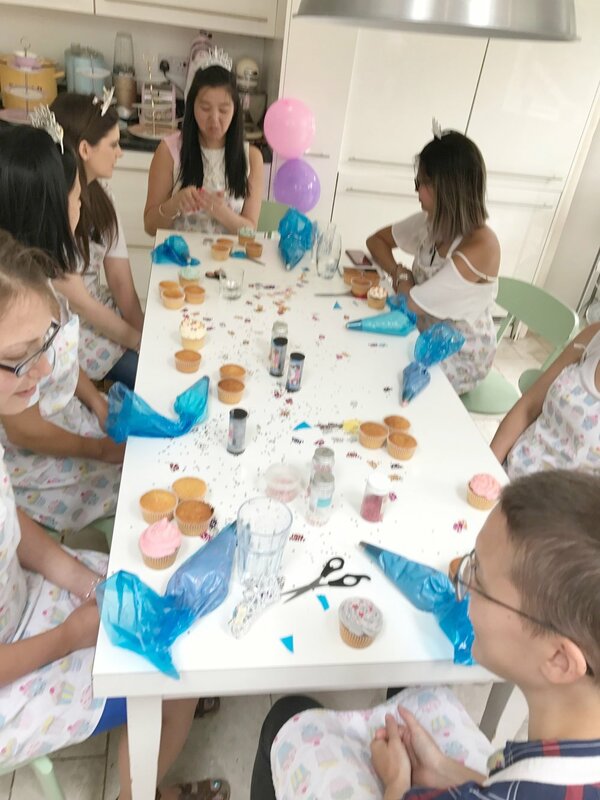 They loved the huge variety of glitter and sprinkles we had provided and had a healthy bit of competition going with regards to who was piping the most perfect buttercream swirls. 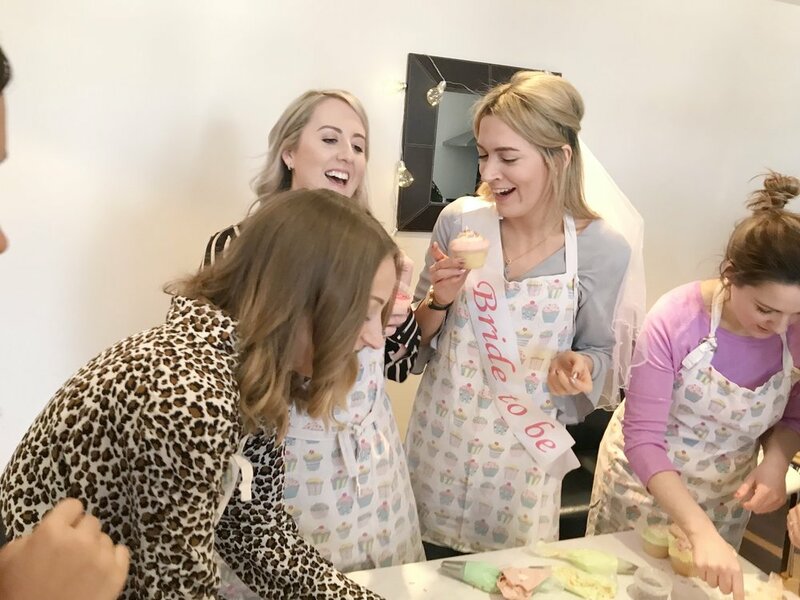 A glass of bubbly got them in the hen party mood and by the end they were thrilled to be taking home 8 perfectly iced cupcake creations. 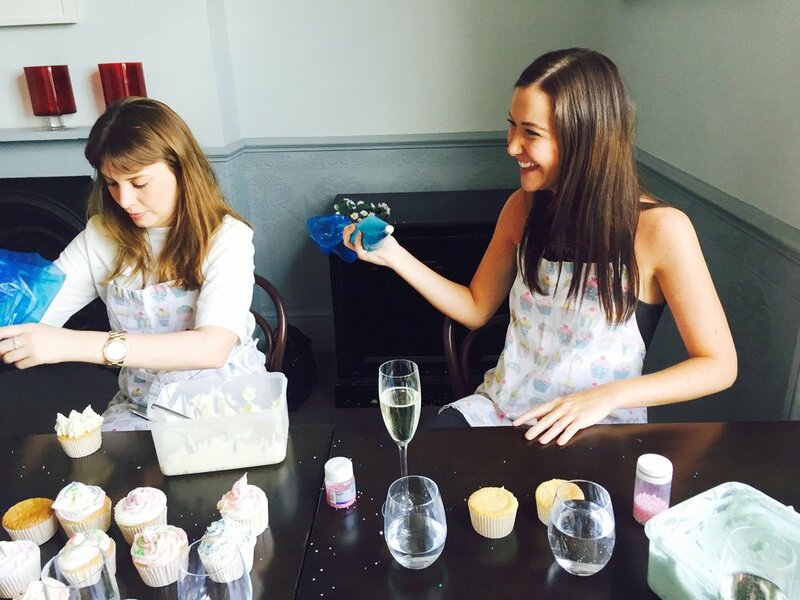 They said it was well worth coming to London for the cake class hen day. 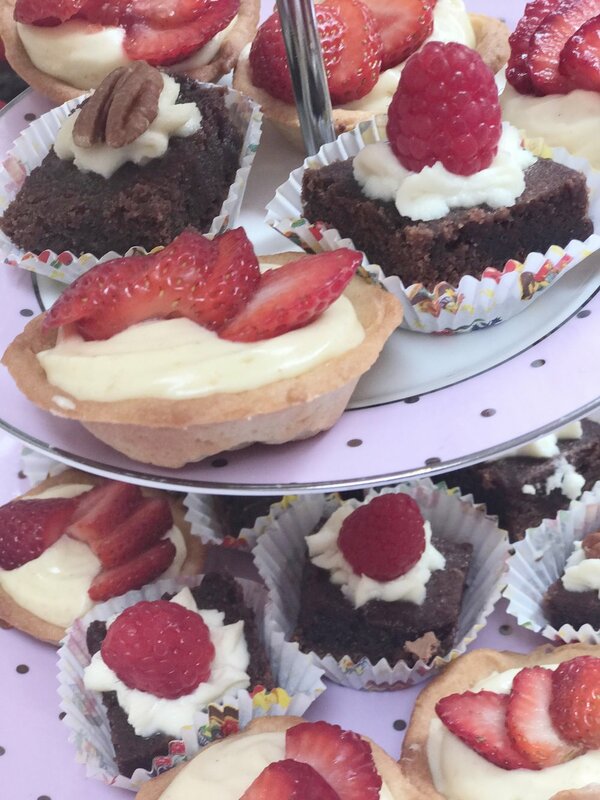 In fact they are even talking about joining us for one of our cake baking classes in our North West London HQ. Maybe not before the honeymoon though!